The Middle Fork of the Willamette meanders through the small town of Oakridge and enters into Lookout Point reservoir southwest of our shop approximately 45minutes. 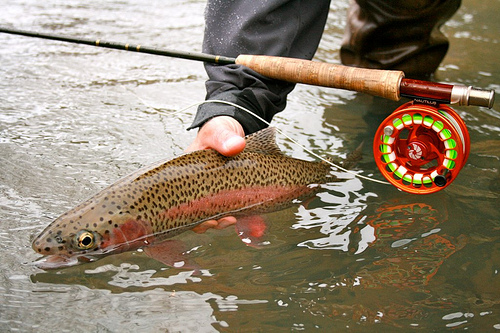 Our Middle Fork trips are designed for one or two anglers. We do most of our fishing from McKenzie style drift boats. 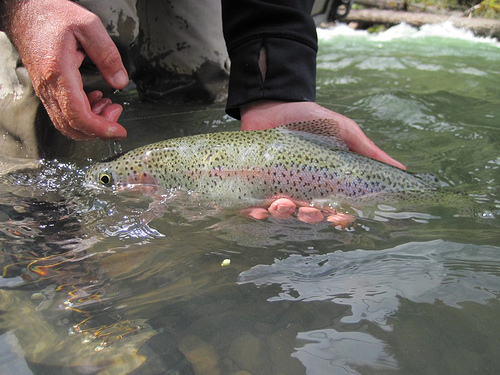 The Middle Fork is populated with wild rainbow and the odd cutthroat trout. Fish range in size from 8-20inches. The Middle Fork of the Willamette may not have the name the McKenzie River does but it certainly has the fish! You will find fewer anglers on most days on the middle fork and all of our guides have the required USFS permits to operate within the National Forest. Depending upon water levels and conditions the Middle Fork of the Willamette can be a viable fishing option nearly year round. Our full day guided trips start around April and go through the end of October. See our early season half days for other times of year on the Middle Fork. Typical days start around 9am and end around 5pm. 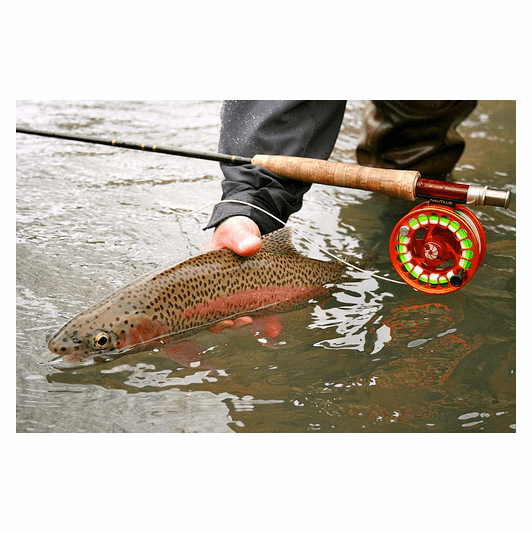 We utilize a variety of techniques from dry dropper rigs to deep nymphing tactics and dry flies. We do what we need to, to make sure you catch fish! Our guides focus on instruction crafted to fit your needs. We want you to catch fish and learn new skills to adapt anywhere you fish. 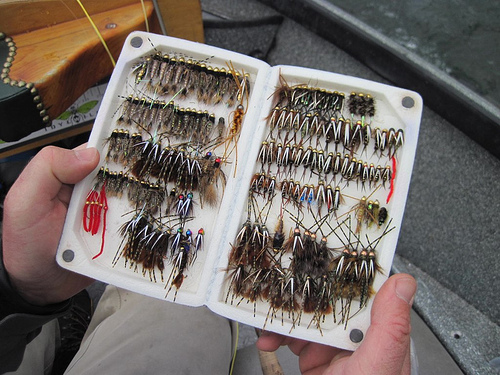 Middle Fork of the Willamette Guide Trips are $450 for one or two anglers. Please call 541-342-7005 or email caddiseug@yahoo.com for more information.